Mass Effect 3 had only one job to do — finish the story. It could've kept the film-grain noir atmosphere from Mass Effect 2, as it would have cast a perfect shadow on how bleak the galaxy was at the onset of the Reaper invasion. It could've re-instituted the mystery and intrigue that were so prevalent in Mass Effect 1, as you searched for clues as to how the denizens of the galaxy could, ultimately, defeat the Reapers, since a toe-to-toe engagement would utterly decimate the galactic fleets. 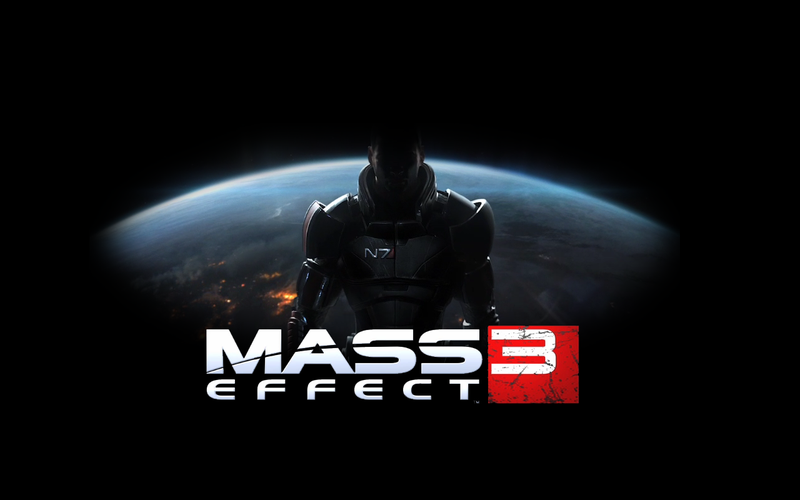 Instead, Mass Effect 3 will, most assuredly, be forever remembered as the game that ultimately ruined what could have been the greatest video game trilogy, by destroying the very foundation the Mass Effect series stood on: Choice, dialogue, and quests. And, to be frank, Mass Effect 3 committed the ultimate transgression in gaming — It damn-near made Mass Effect 1 and 2 meaningless. Mass Effect 2 was a noir-themed gem that is still one of the best Sci-Fi RPG's available. You, Commander Shepard, with the aid of the reviled Cerberus, had to build a team that was capable enough to stop the Collectors from kidnapping humans, and destroy them at their source — and live. You bonded, created relationships, and battled with your fellow team members. They could have, all of them, survived, or died, depending on their loyalty, which was easy enough to gain. It was, in essence, The Dirty Dozen — The Video Game, and this title was based more around your team than anything else. Defeating the Collectors was only a stepping stone for your team, as you were unconquerable. But that's just it, isn't it? Your team was assembled for the sole purpose to stop the Collectors at their source; destroying, or saving, the Collector Base was the final choice you could make. And in a series full of choices, this one is rather significant. Do you give Cerberus control over the Base, or destroy it entirely? This choice did not matter in Mass Effect 3, much like many other choices. In fact, the deaths of fellow comrades in Mass Effect 2, during the Suicide Mission, have little bearing in ME3. Several characters, like Mordin, Tali, and Grunt will simply be replaced, and this will not have a significant impact on the story at all, though the player will miss out on several sentimental moments they would've had if these characters were still alive. They gain nothing more. And to craft a game based upon the building of an unstoppable, team of elites, then have that all discarded, your team disbanned, in the next installment is a terrible plot device. Did you know that if Legion dies during the Suicide Mission he will simply be rebuilt and have no prior knowledge of Shepard? 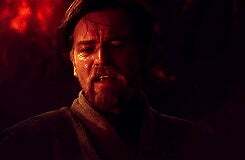 Bioware retconned a character death. Anyway, back on topic. Destroying, nor saving, the Collector Base has no bearing in Mass Effect 3, save for the newly established Effective Military Strength. That's correct. Instead of making your choices have significant impact, they decided to reward you with Battle Points! If you gain enough of these points you will get the 'good ending', though if you get too few you will receive the 'bad ending'. And, how does one gain these points? Finding artifacts, by scanning planets, and turning them in. Scanning planets for lost caches, soldiers, and ships, among others. These represent a majority of your side quests. Whilst out on your grand adventure to unite the Galaxy you will scan systems and, if the scan uncovered anything, you will zoom over in the Normandy and pick it up. You do not leave the Galaxy map during this. There is no exploration. There is no challenge. You just fetch something and turn it in. However, there are N7 missions where you drop down on a planet's surface and do battle, but you are really just playing the multiplayer maps to gain Battle Points. But, even then, playing Multiplayer could one gain the necessary, required points in order to achieve the 'good ending'. Multiplayer, a mode where only your choice of armaments and skills matter, could inherently alter the outcome of a Single Player game — a game where choice should ultimately be the deciding factor. And one cannot make a choice, in a game, without adequate dialogue, which seems to be lacking thoroughly in Mass Effect 3. ME3 let you have the illusion of choice, for the most part, with its dialogue options. You would choose something to say, then Shepard would automatically fill in everything else, until the game decided it should let you take the (dialogue) wheel again. Unlike Mass Effect 1, ME3 would do most of the talking for you and even featured an option to let the game make all the decisions for you, which made absolutely no sense. In fact, let's take a step back to Mass Effect 1. On Eden Prime, the very first mission planet you arrive on, you are given the ability, if you have high enough Charm or Intimidate, to engage in Paragon/Renegade dialogue options. Though, while not important at the very beginning of the game, you are able to direct conversations in your favor and, later on, ultimately skip out on a boss fight because of it. Very little of that is prevalent in Mass Effect 3. for the most part, the dialogue options have been replaced with interactive, scene-deciding, trigger pulls/mouse clicks. While they were in Mass Effect 2, and usable in few situations, ME3 went completely overboard with them, allowing these to take precedence over traditional Renegade/Paragon dialogue options. The lack of dialogue options in this game, only shows how terrible the story is overall, and proves that if there are more dialogue choices, the game's story will be better overall. Let's jump to just after Earth got attacked in Mass Effect 3. The one person who knows that the Reapers can't be beaten through sheer strength alone is Shepard. It took a combination of fleet power and luck to beat Sovreign in Mass Effect 1. Shepard knows the power that Reapers have, and how easily people can fall under their power through indoctrination. And Shepard knows, moreso than anyone, what a single Reaper is capable of. So why is Shepard trying to find a reason to stay on Earth and fight a battle that can't be won?! Why do Admirals Anderson and Hackett have to tell Shepard to aid from the entire galactic fleet when it should be common knowledge to Shepard? Because the writing team had no idea how to introduce new players to the Mass Effect series without undoing many things that had already been learned by Shepard in the past installments. And, to their credit, they did a wonderful job at making learned players, from the previous games, feel like idiots. In fact, many times, during my second play through (which was a mistake), I listened to the lines and said to myself, "That's already been established!" But it has to be reiterated, because the new players they are trying to attract don't know. And it definitely shows, especially with the introduction of Garrus on Palaven. There should not be a single soul who doesn't know about what happened on the citadel in Mass Effect 1. Sure, while they passed Sovereign off as a Geth ship, the citadel being circumvented by the Geth is huge in the way of Galactic news. So why does the Primarch wonder how Shepard knows Garrus? Because bad writing. Bad writing allowed the Reapers to have a spare Rachni Queen if you killed her in Mass Effect 1. Bad writing made the consequences of Mass Effect 2's Arrival DLC ending be unknown, save for Shepard sitting at a desk. Bad writing turned the Reapers from killing machines, into being completely interested in the harvesting of Humans, back into ultimate killing machines hellbent on destroying everything to save everything from everything. And her. She was also terrible, and was never allowed on the Normandy. Because Bioware cared more about doing her some sort of service than actually creating a game that could, somehow, rival Mass Effect 1. And that about sums up my feelings about Mass Effect 3, and why it was, without a doubt, one of the worst things to ever happen to any series that wanted to be more than mediocre. If you notice, I did not even mention the ending. While it was awful it was but a culmination of all the terrible things in Mass Effect 3, and should be seen more as the symptom than the cause. But I will say this: The Illusive Man was not supposed to be right. Saren was not supposed to be right. They were indoctrinated by the Reapers. The only true ending is to destroy, and the ending should never have had a choice. You were always out to destroy them, and that never changed. See, this works because, where Mass Effect 1 was superb, and ME2 was good, Mass Effect 3 was awful. Thus, balance. It brought balance to the Force.